Episode 13: Conversation with Bryan E. Robinson Ph.D.
'Conversation with Alanis Morissette' features conversations with different highly reputable teachers, authors and leaders from different philosophies and of different psychological/neurobiological/developmental models and backgrounds, all with an eye toward healing and wholeness and recovery. Each podcast focuses on the area ... See More of expertise and jurisdiction of the interviewee. 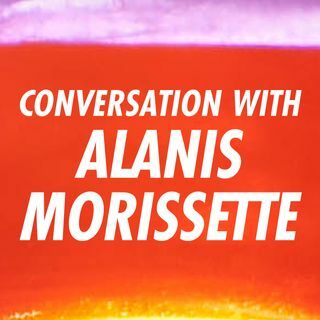 With Alanis having an in-depth knowledge of them and their work, the conversations will touch on and dive deeply into topics that move the guest and Alanis herself toward philosophizing in real time, as well as illuminate any teachings, ideas and models already established as well as discuss any more current findings. Alanis also touches on the larger macro effects of the great service the author/leader is providing to so many and what the current vision is for what is possible around their ongoing work. These conversations are rich, lively and deeply thoughtful.